The worldwide cloud market will grow at six times the rate of overall IT spending, doubling in size by 2019 to an estimated $141 billion says a study forecast by Oracle and it goes without saying that a significant amount of it will be spent in cloud computing talent acquisition process also. did the hiring trends reflect the same in 2016? 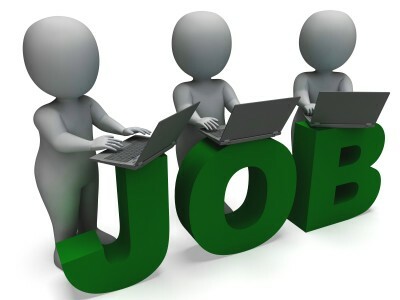 In 2015, there were around 18 million cloud computing roles across the world, as per the WANTED Analytics estimates. Cloud and distributed computing also emerged as the number one hottest skill of 2015, as per LinkedIn, which means the demand has grown even further this year. Simplilearn, which offers short-term online training courses to help professionals get certified in its recent ‘India Cloud Computing Skills Report’ has stated how the demand for cloud computing skills has grown in India vis-a-vis the US, the companies that hired aggressively in this space with a city-wise hiring trend in detail. 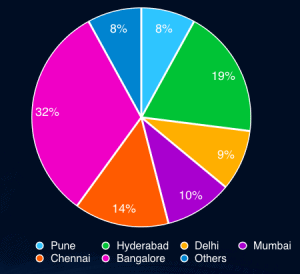 Bangalore scores comparatively high(32pc) than the other cities in terms the cloud computing recruitment activities, followed by Hyderabad(19pc) and Chennai(14pc). As per Zinnov reports, by 2020, India will have spent over $10 billion on cloud computing because of the ever expanding ecosystem of developers, and the demand to setup data centres within the country. While India has remained one of the most promising markets for cloud computing outside US, but it is not much behind in terms of the growth. 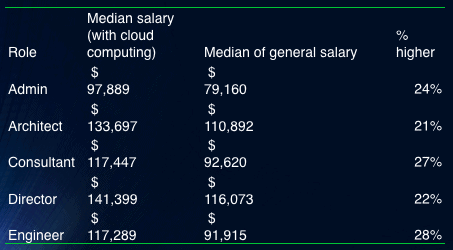 Both the geographies have recorded a growth of roughly 40 percent YoY in cloud computing jobs demand. 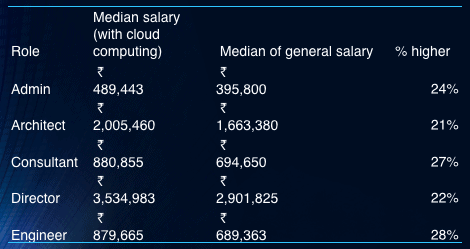 Simplilearn has drawn a comparative analysis also on the two important job markets for cloud computing highlighting the salary increase for different job roles in the US and India. To meet the demand of professionals seeking to upgrade their skill set, cloud computing course market in India has also grown 35 percent as compared to the last year, according to Simplilearn estimates.